Whatever your level, you’ll feel like you’re walking out with the Black Caps in this cutting-edge new on-field ODI shirt from Canterbury. With an embossed silver fern across a sleek black base and a stand-out new performance wingtip collar, this garment will lift your spirits and your game. 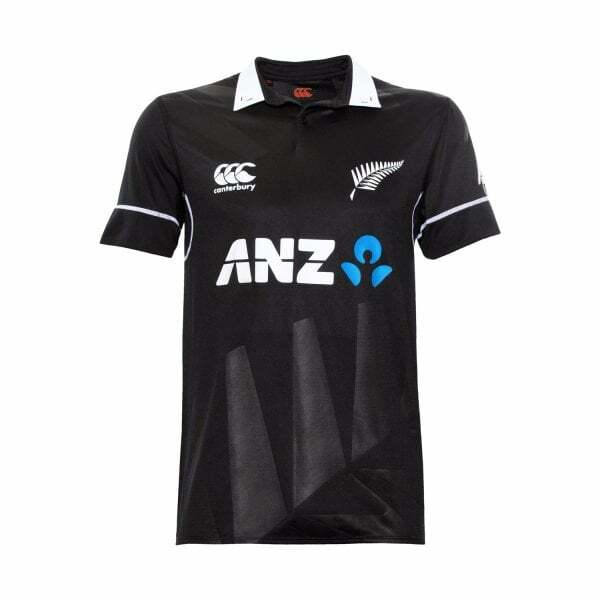 The new evolution of the Black Caps ODI shirt has arrived. Featuring an embossed NZC fern and new-look performance collar, this stylish shirt is built to be worn with pride both on and off the field. That’s not all, with Canterbury’s VapoDri moisture wicking finish, you’ll stay cool and dry all day long. The classic silver fern design across the body and over the shoulder reminds others where your allegiances lie and the updated white wingtip collar with a power loop and performance stitching allows for a comfortable fit and easy adjustment on the go. Finished with Canterbury logo and a silver fern on the left chest; get the new Black Caps on field look for 2019, at your nearest Canterbury store.